Northern Irish commercial radio station breaks away from former parent company on Freeview. U105 was carried for over a decade on Freeview channel 726 across Northern Ireland, sharing capacity with its former broadcast stablemate UTV. a516digital has received confirmation the station was quietly withdrawn on Freeview channel update day, 2nd August 2017. Following the sale of the UTV channel 3 service to ITV and the subsequent takeover of the remaining UTV Radio business by News UK, it became unclear how long the joint Freeview carriage would last. 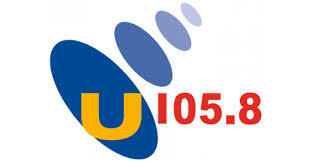 U105 had enjoyed a 160kbps stereo slot on the digital terrestrial platform on the D3&4 multiplex next to UTV. Last month, U105 launched on DAB digital radio in Northern Ireland for the first time, with a province-wide mono 80kbps slot complementing its Belfast centered FM coverage.